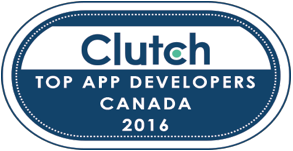 Push Interactions is a proud leader in the Canadian app development community according to a recent update by Clutch, an app development ratings and review firm. Clutch determined us as a leader by analyzing our previous work, our clients, and our ability to deliver. The thing that really separated Clutch’s findings were the client reviews that were conducted as part of the process. 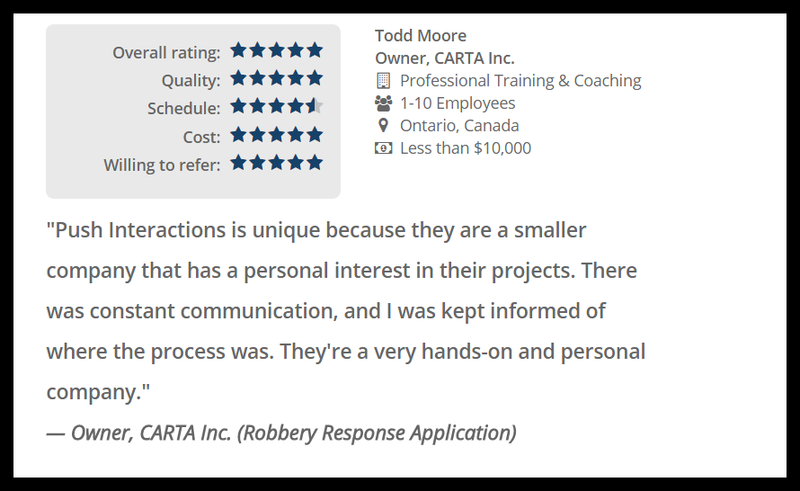 The client CARTA Inc. a robbery response training company. The client was in need of an application development partner that could help them to develop their mobile application to help train end users various robbery response tactics. In addition to be located in Canada, this client utilized Push Interactions for their ability to develop a minimum viable product on their specified budget. This client is extremely satisfied with their partnership with Push Interactions. The client highly recommends Push Interactions for their personal investment in their client’s projects.